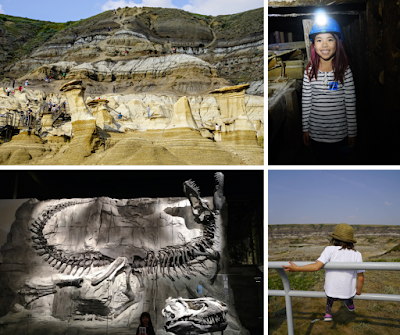 Go underground at Atlas Coal Mine, drive 10 bridges to a rockin' saloon (and haunted hotel), or bike through the badlands to the renowned Royal Tyrrell Museum. The experiences you can have in Drumheller are varied and unique - perfect for history buffs, dinosaur lovers, and outdoor enthusiasts alike. This Mother's Day, treat Mom to great gear for her favorite outdoor activity, or sign up for the Sport Chek Mother's Day Run, Walk & Ride in support of Calgary Health Trust NICU and Canadian Tire's Jumpstart Charities. 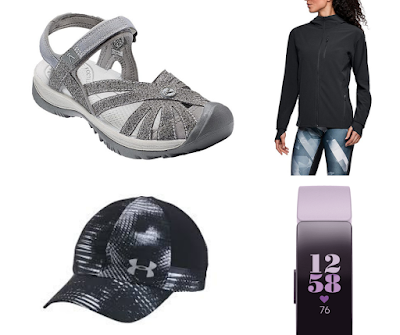 This story was sponsored by Sport Chek, but all words and opinions are my own. Breathtaking views, fine dining, an amazing interpretive centre, and scenic boardwalk to Sanson's Peak await at the summit of Sulphur Mountain. 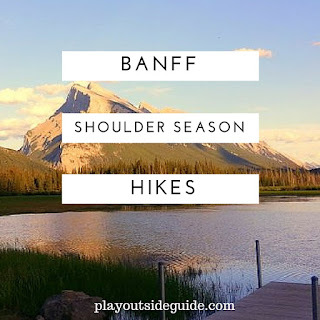 In the off season, hike up and ride the Banff Gondola down for free! Spring in Canmore can be sunny or snowy, but you can count on spectacular views and fantastic dining no matter the weather. Here are 15 fun things to do in Canmore this spring. 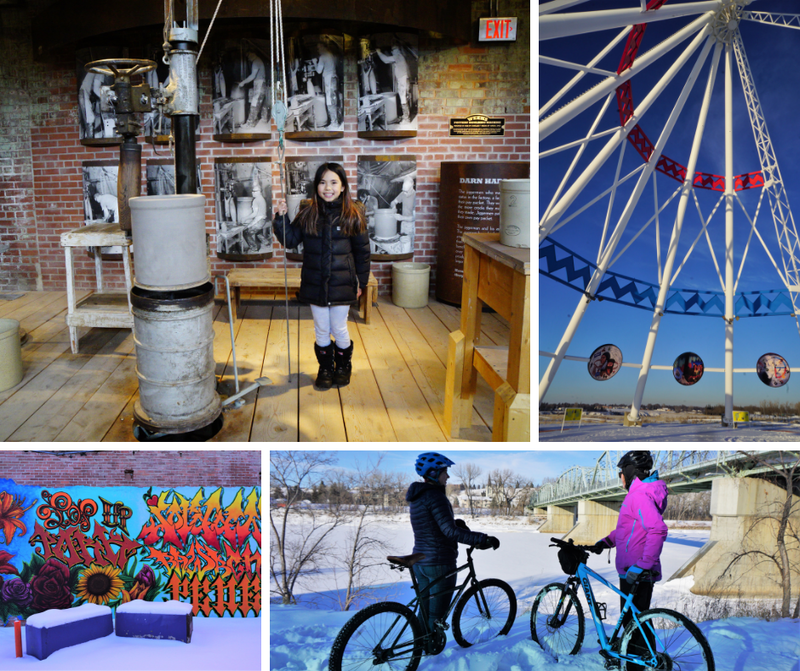 Canada's sunniest city, Medicine Hat, is your one stop shop for outdoor fun, history, culture, and awesome brews (choose from several indie coffee roasteries and craft breweries). 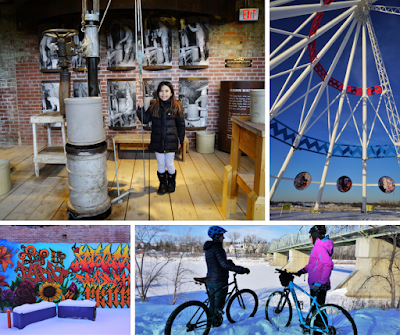 Experience outdoor recreation, history, and culture in Medicine Hat, Alberta! Canmore Museum and Geoscience Centre offers visitors the chance to learn about Canmore's history, geography, and geology. Kids will enjoy the scavenger hunt too! "Look at us! We're on the Three Sisters!" my youngest shrieks. To clarify, my daughters' Lego characters are on a photo of the Three Sisters while doing Canmore Museum's photo scavenger hunt. They have been tasked with photographing their Lego characters with various items in the museum's collection. Some are easy to find; others are tricky. It takes us over an hour to complete the hunt, but we have fun and learn a lot in the process. Back at the front desk, Christian gives the girls their reward for finding everything: a polished rock! 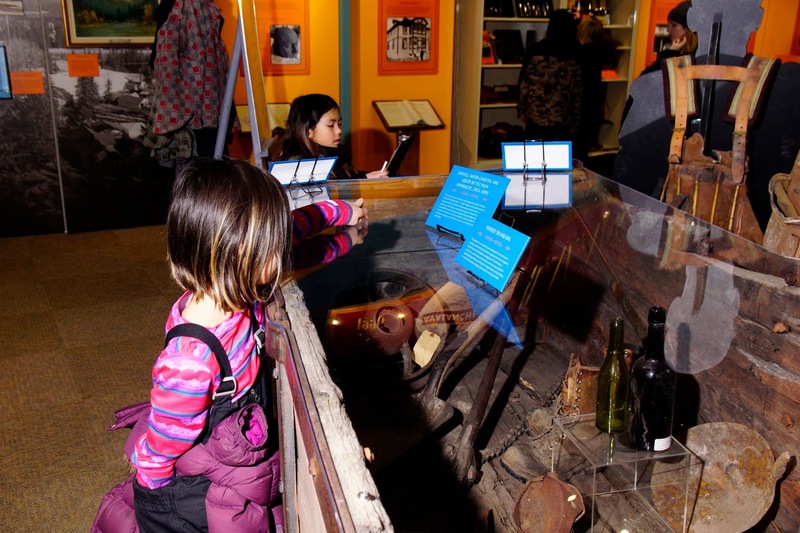 Younger kids can do a simplified scavenger hunt where they look at pictures and try to find them in the gallery. Established in 1984, the Canmore Museum is definitely worth a visit. 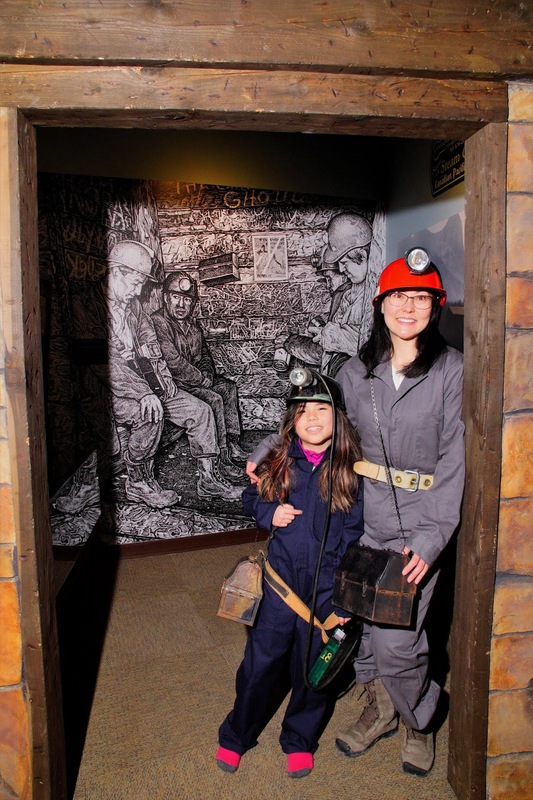 Although it is a small museum, it boasts over 10,000 artifacts, several hands-on exhibits and videos, and a fun miner selfie station where you can dress up like a miner, headlamp and all. 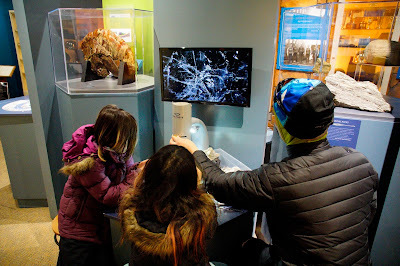 We learn about Canmore's mining history and who some of Canmore's notable people are from explorers to athletes, look at fossils, make mountains, and examine rocks under a lightscope. Did you know there was mining activity in Canmore until 1979? 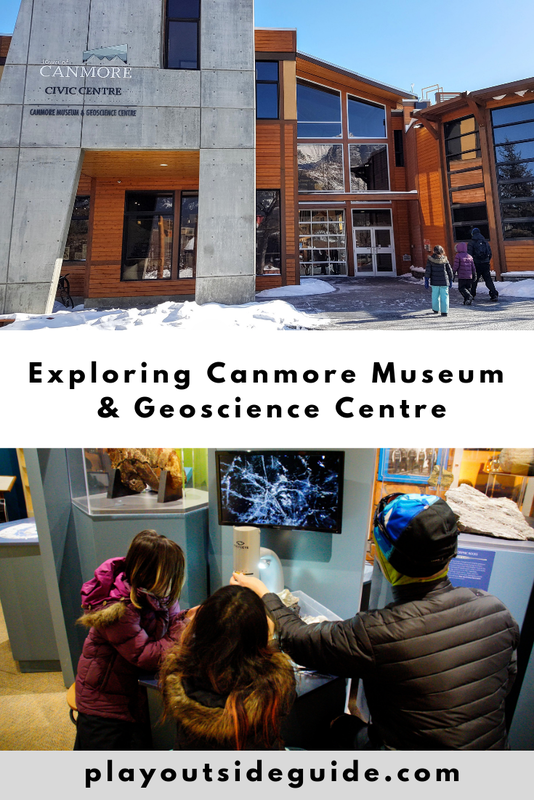 Check out the Canmore Museum Events page for upcoming events including guest speakers, Spring Rock Hunt, and Miner's Parade. The museum also runs community programs: Roving Scientists offer free interpretation on local trails; and Gerry Stephenson’s History of Coal Mining Tours provide an in-depth look at Canmore's mining history (10 & up, $, registration required). 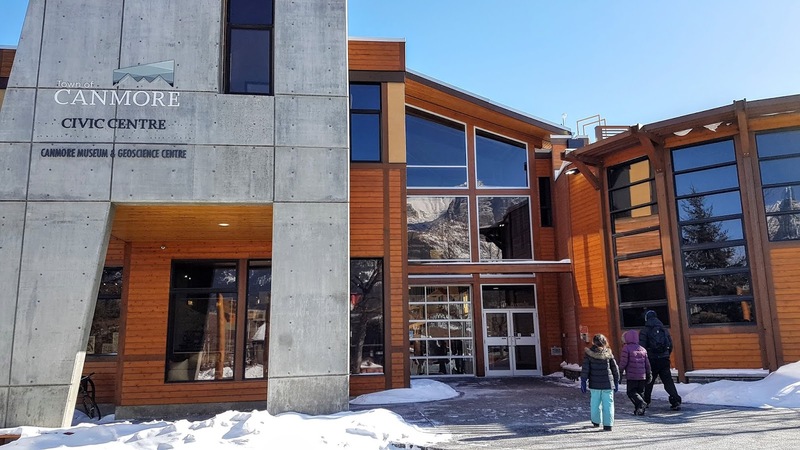 Hours: Canmore Museum is open 7 days a week. 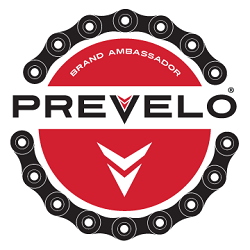 Check their website for hours. Parking: Free street parking and in the parking lot across the street. To learn more about Canmore's history, ask for the downtown historic site walking tour brochure and enjoy a self-guided walking tour. 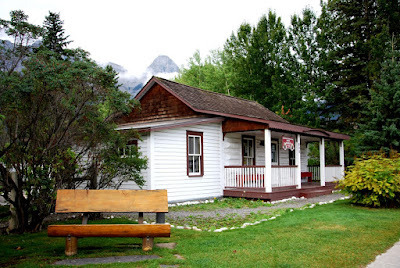 Don't miss one of Canmore’s oldest buildings, the North West Mounted Police Barracks at 609 Main Street. The NWMP Barracks are free to visit. Have fun at Canmore Museum and let me know what you liked best! 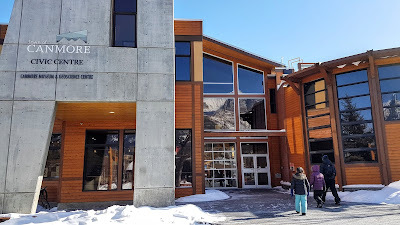 Disclosure: My family received complimentary admission to Canmore Museum for review purposes, but all words and opinions are my own. Basic first aid skills are essential whether you are on a day hike or through hike. Here are nine first aid tips every hiker should know. Play outside but be prepared! Everyone prefers an optimist over a pessimist. Usually, we’re apt to avoid generalizations but this one is pretty hard to argue. Nothing can drag down morale like negativity, and that’s the last thing you want as you’re about to channel your inner explorer and get closer to nature. 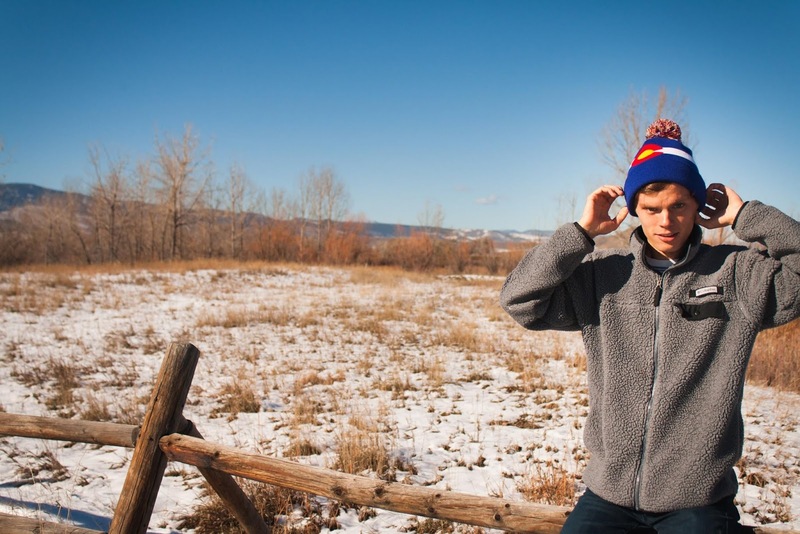 When it comes to hiking, though, considering the worst case scenario is a necessary evil. In the event everything is not hunky dory, hikers need to be ready to act to continue on, adjust course or even save a life. 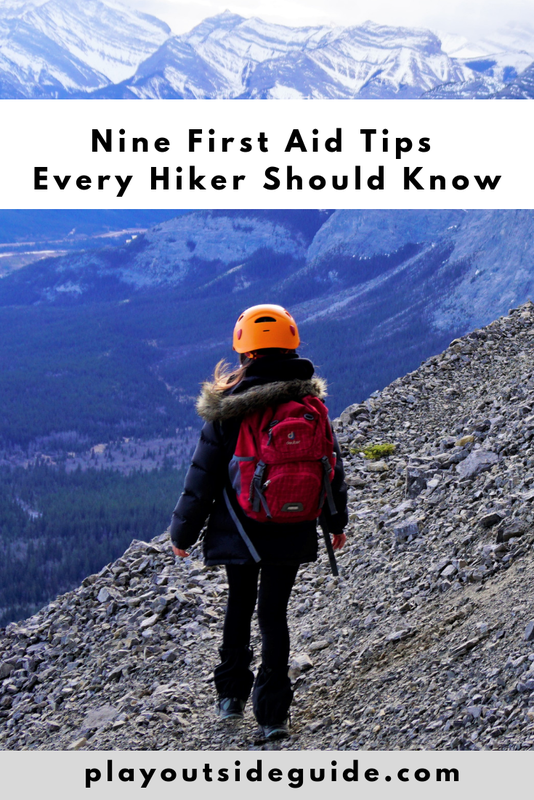 Here are nine first aid tips every hiker needs to know. Pass it along to your hiking buddies, too, so there’s plenty of folks on the trails who know how to react in a bind. 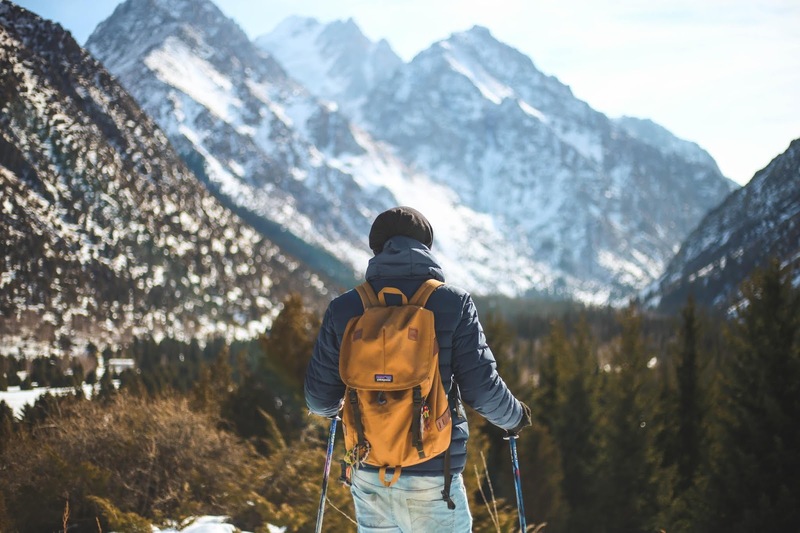 As you load your hiking poles, personalized pom beanie, socks, gloves, and snacks into your pack, be sure to leave room for a well-stocked first aid kit. Bandages, dressing pads, gauze roll, athletic or adhesive tape, a multi-use tool or knife, scissors, tweezers, antiseptic wipes, antibiotic ointment and pain relievers are some of the must-have products you need on hand. A Wilderness First Aid booklet, included in many prepackaged first aid kits, is also handy to have on hand. The pocket guide supplies tips on how to make do with what you have when tough circumstances arise. Adventure Medical Kits are ultralight and watertight. First aid and life support are valuable skills in any arena, but the stakes grow even higher when you’re out in the wild. 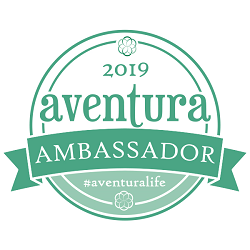 As a result, true outdoor enthusiasts would be well-served to take Wilderness First Aid Training or get certification (or re-certify) in Advanced Cardiovascular Life Support, Basic Life Support and Pediatric Advanced Life Support. Many options exist at the national, regional and local level, with some courses perfect for hikers. Once you have the knowledge, empower others and pass it along. If a wound is super serious, cut your hike short and seek medical attention as expediently as possible. Until help arrives, clean and close the wound to prevent infection. First, thoroughly wash the skin around the cut, using only water that is safe to drink. Then, employ dressing or gauze lathered in antibiotic ointment to apply pressure and stop bleeding. You may need to use skin closure strips or medical tape and dressing to close a wound. If the victim is in shock, keep him/her warm and offer a warm beverage. For more thorough instructions, take wilderness first aid training. First off, pack a few pairs of gloves in that first aid kit to be ready to adequately handle bleeding. Although it can be a scary situation, fortunately most forms of bleeding can be stopped with a combination of direct pressure and elevation of the wound above the heart. Put gauze onto the wound and wrap it with an ace wrap, bandanna, towel or similar item. Avoid making a tourniquet, as ideally you should be able to insert two fingers under the wrap. If the patient has tingling or loss of feeling in their extremities, you’ve wrapped it too tightly. 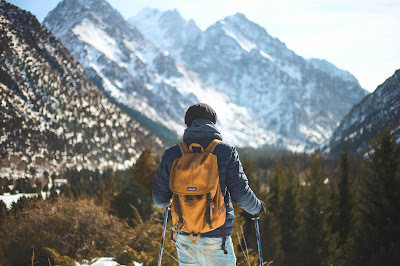 Hiking trips that include overnight stays are likely to feature fire at some point, as you sit around the campfire to refuel and hydrate, recap the day that was, and plan out your future itinerary. Mishaps come easily, though, so know how to act if someone in your party suffers a burn. Step number one in the process is stopping the burning by cooling the area with cold, clean water. From there, clean the area and cover with antibiotic ointment and gauze or clothing with the primary goal of preventing infection. Soft tissue issues are some of the more common injuries that require rescue. That process is arduous and often involves a long wait, so knowing how to treat knee and ankle injuries that can allow you to continue your course on your own is important. Determining the usable vs. unusable extent of the injury is key to figuring out whether soldiering on is possible. In the former event, wrap with athletic tape or an ace bandage and take your time with ample breaks. If you’re able to rest for a few hours or even a day, depending on the length of your trip, it may be best to do so. The latter type of injury is obviously significantly more serious and requires padding and a splint, whether makeshift or otherwise. Depending on the severity and the injured party’s pain tolerance, try your best to hike out on your own and avoid a harrowing rescue. Lower on the serious scale but high on the annoying scale are blisters. It’s hard to savor the sights and keep your desired pace if you can’t rid yourself of blisters. Your best option is to slowly drain it and then treat like a small wound, which will ideally relieve pressure and pain so you can carry on. Tick bites are not only annoying, they can lead to infection or Lyme disease. If you find an embedded tick on you, use tweezers or a tick key to grasp the tick near its mouth and tug gently but steadily straight up to remove it (do not twist!). Afterwards, rub the bite site with an antibiotic ointment, iodine swab, or alcohol pad. Finally, take a photo of the tick for identification purposes and kill it. 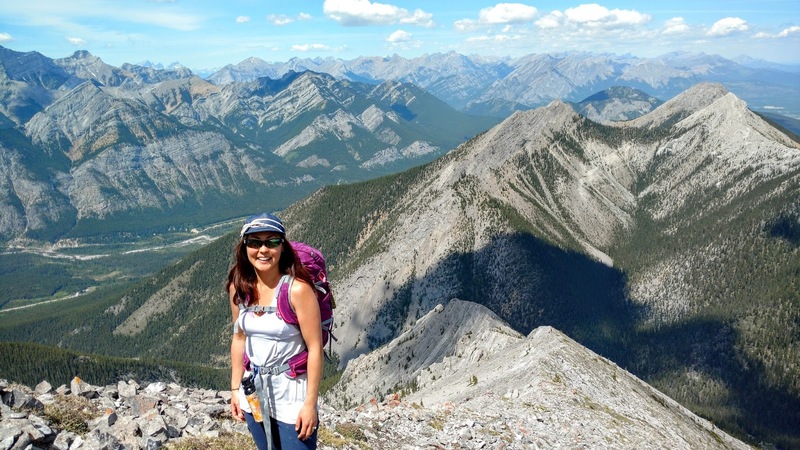 For more information, read Karen Ung's story: 5 myths about ticks and 10 tick safety tips. The Tick Key is small and easy to use. In addition to ibuprofen and other pain relievers, if you or anyone else in your group takes prescription medication, be sure to bring extra doses in the event your trip goes longer than anticipated (due to injury, getting lost, weather/trail conditions). Wishing you safe and happy hiking! As a marketing and social media guru, Sarah Wilssen, has been working her way through the marketing world for the past 10 years. Currently, Sarah is the Director of Marketing for Headsweats, where she leads her team to be the best marketers they can be. When she’s not in the office, Sarah loves hiking, running, coffee, and her doofy but loving golden retriever Jax.